This beautifully packaged organic soap from Bentley Organic will bring bath time alive with its citrus fresh scent combined with Seaweed extract to really detoxify the skin leaving you feeling energised. 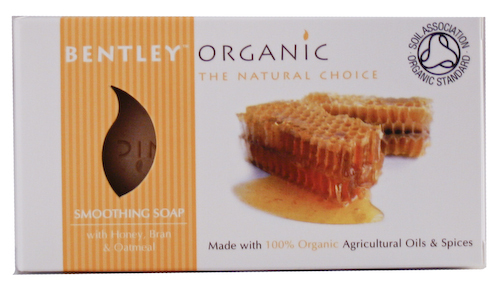 The Bentley Organic Smoothing Soap 150G product ethics are indicated below. To learn more about these product ethics and to see related products, follow the links below. I have used this soap for almost two months and am very pleased by how long the bar is lasting. The soap smells good and the bar is a pleasing shape to hold whilst washing. The oatmeal can be a bit abrasive - especially as the bar reduces - but overall I have found the soap to lather well and leave my skin feeling clean and fresh. Not tried it yet , but it smells good. 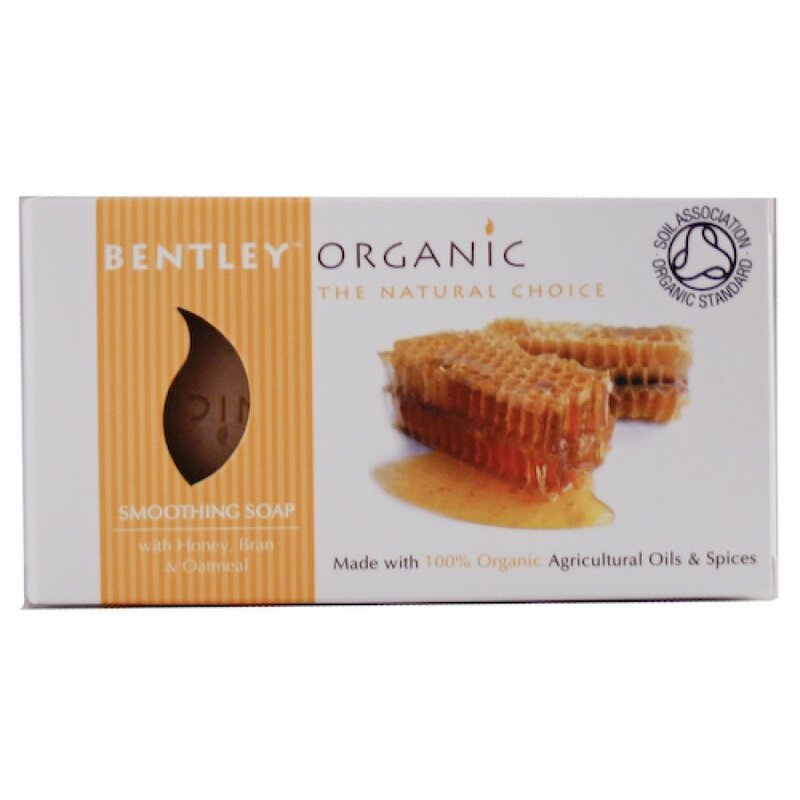 There are currently no questions to display about Bentley Organic Smoothing Soap 150G.